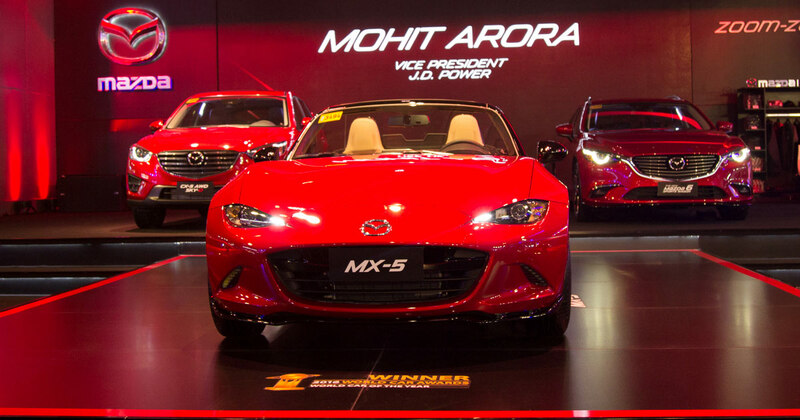 Nissan Philippines unveiled the vehicular equivalent of an elegant monster on the first day of the 2016 Philippine International Motor Show. That day featured the much-awaited Philippine launch of the 2017 GT-R.
We've already told you how much the new model costs and where you can place your order. The question now is, what are the features of Godzilla? On the outside, tweaks have been made to the sports car to improve its aerodynamics. The side sills have been pushed out, plus new bodywork and side air vents in the rear have been added all to improve air flow. Also in the rear, the belt line that separates the lower black section from the body panel has been heightened to give the car a more aggressive look. Inside, there is a redesigned dashboard along with an instrument panel wrapped in a single piece of stitched leather. It adopts a more flowing design that gives a sense of high stability for the people in the front seat. Meanwhile, the line from the instrument cluster to the center console provides a distinct driver-oriented environment. The center dashboard layout has been simplified to concentrate more on the driving experience, with the total number of switches reduced from 27 to 11. An eight-inch touchscreen monitor replaces the previous seven-inch one. There is a new display command control conveniently placed on the carbon fiber center console. To further enhance the driving experience, the shift paddles are now mounted to the steering wheel. Under the hood is a VR38DETT engine, handcrafted and overseen by a Takumi technician. The lump is a 3.8-liter 24-valve, twin turbocharged V6 that spits out 562hp at 6,800rpm and 637Nm of torque, and is mated to a six-speed dual-clutch transmission. The improved output comes courtesy of individual ignition timing control of the cylinders and extra boost from the turbochargers. 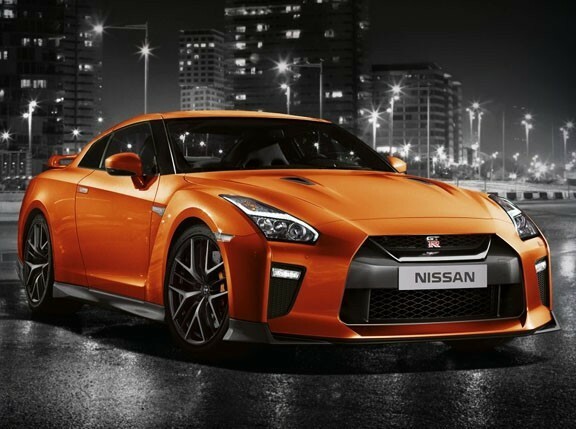 This gives the new GT-R superior acceleration in the mid to high ranges (3,200rpm and above). New titanium mufflers and active sound enhancement give the engine an even sweeter sound. There also improvements to ensure a smoother ride quality. 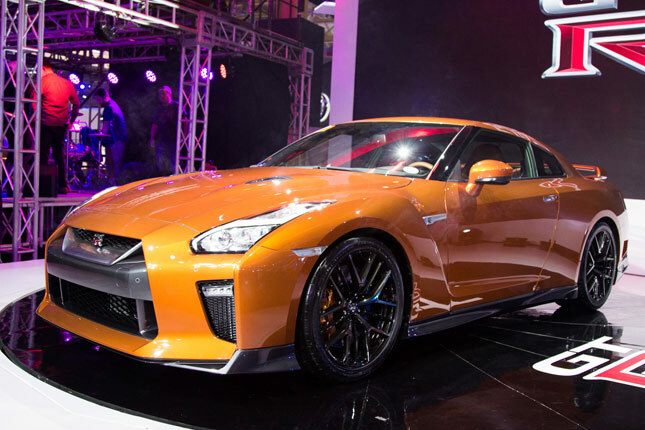 The new GT-R has a more rigid body structure and a new suspension, which results in better stability through quick lateral transitions and higher overall cornering speed. Carrying the load are sticky 20-inch tires, wrapped around new Y-spoke machine-finished forged aluminum wheels. 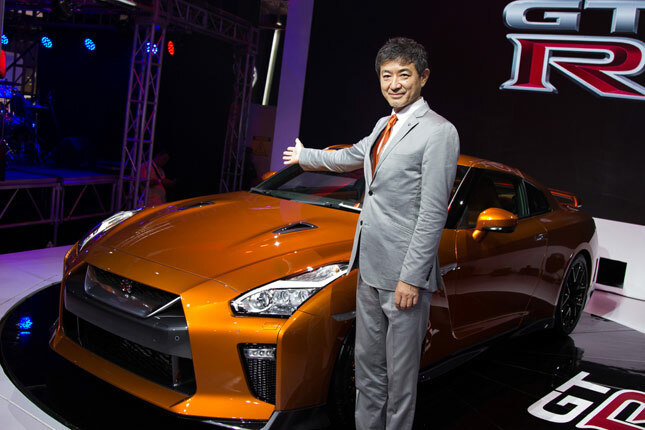 In addition to the sports car, Nissan is also featuring other vehicles from its line-up. The display includes the Navara Sport Edition, the Juke N-Sport, the X-Trail, and the refreshed Altima. 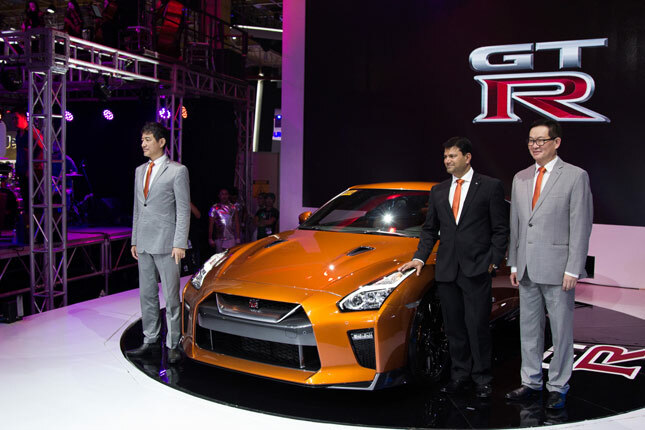 To see the new GT-R in the flesh, visit the Nissan booth at the World Trade Center, Pasay City.